> Lighting>Ceiling Lighting>Chandeliers>Modern Crystal Glass Round Chandelier, 4-Light, 12" x 30"
Evrosvet Modern Crystal Glass Round Chandelier, 4-Light, 12" x 30"
Modern Crystal Glass Round Chandelier, 4-Light, 12" x 30"
Modern Crystal Round Chandelier can be installed in any room like bedroom, family room, meeting room and others. The base of this contemporary fixture is made from stainless steel. The diameter is 12 inches and height with crystals is about 30 inches. There are 37 clear crystal balls with option to hang on blue crystal drops. 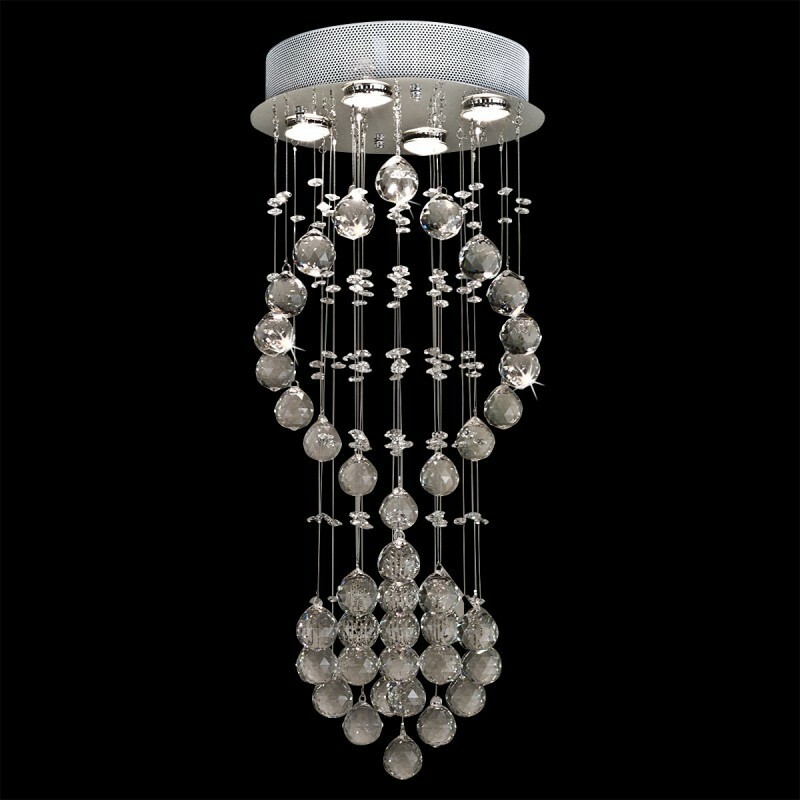 The chandelier includes four GU10 type of halogen bulbs 50Watt each.